What do you want to know? There are many reasons not to run breathers back into the intake, the main one being oil/gas mix in the intake means less air, as in the oil/gas mix displaces the oxygen needed for combustion, and the name of the game is getting as much fuel/air through what is basically a pump - the engine. 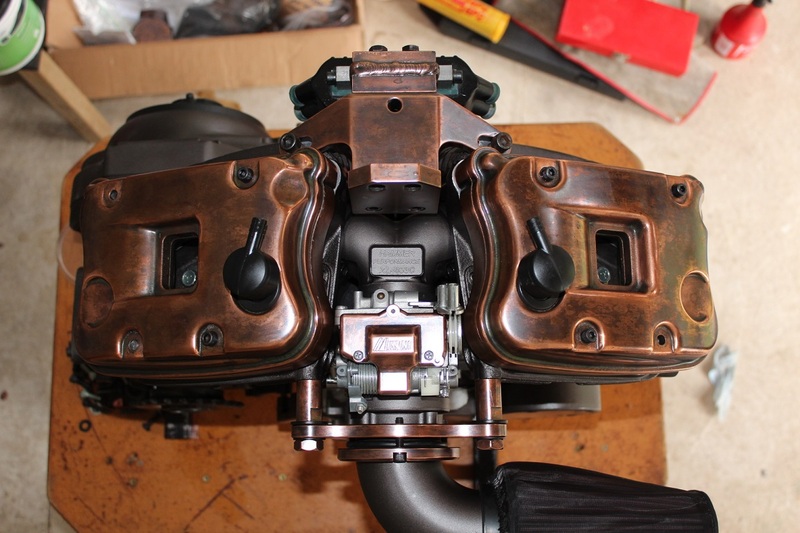 The Buell PCV breathers are a one way valve, they let the heads breath out oil/gas mix, but do not let the vented gasses, oil mist or atmosphere in. The best way to breath heads is with the Buell system and vent the oil and gasses via a rubber hose to a catch can that you have to monitor and periodically empty. You can see the black PCV valves on the top of my engine. Just run a hose from these to some kind of bottle or can that you can empty to waste. S&S has a system that is a bit of both (can and intake) but someone else is going to have to chime in to explain that... Jorgen! What do you have at the moment? I converted my 2000 S3T as well. I used some rubber hoses under the back of the tank (body plastics) to lift the tank ever so slightly to prevent the tank from rubbing on the rear PCV. I've found that routing the hoses similar to how Rubine shows the outlet of the PCV works better than trying to route the rear PCV hose rearward. Routing the rear PCV towards he back will cause interference and eventually leaks around the rear PCV, and eventually failure.